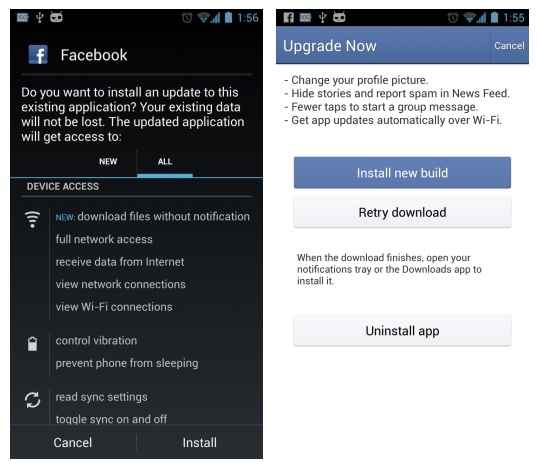 Facebook looks to have found a work around for updating it’s own Application. It appears that with the latest update, the Facebook app will be able to download future updates without going through the Google Play Store. Wait, what? Get updates automatically? If you look close at the permissions of this latest update, and who actually looks at permissions, you’ll see a new permission listed. It’s called “download files without notification.” First, why would anyone allow an application to download files to their device without notifying them. I can see that permission being abused by virus writera everywhere. Second, this is different than selecting to automatically update the app from the Play Store. The difference being you get notified when there’s an update, even when automatically update is set to on. 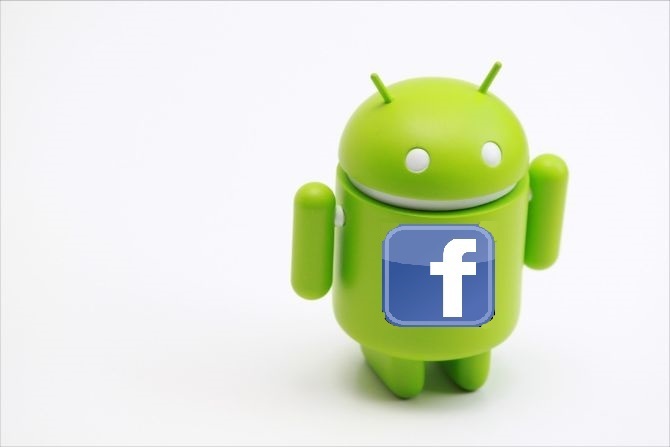 No one is sure what Facebook’s plans are, or what files they may be downloading. So if this sort of thing bothers you, uninstall the app, or don’t install the latest update. I’m not a heavy Facebook user, and when I am on Facebook I use the web interface. I am an Android user though, and this latest news has made me more aware of application permissions and who is allow to download files to my phone without me knowing. What about you? Any Android fans concerned with this latest update?